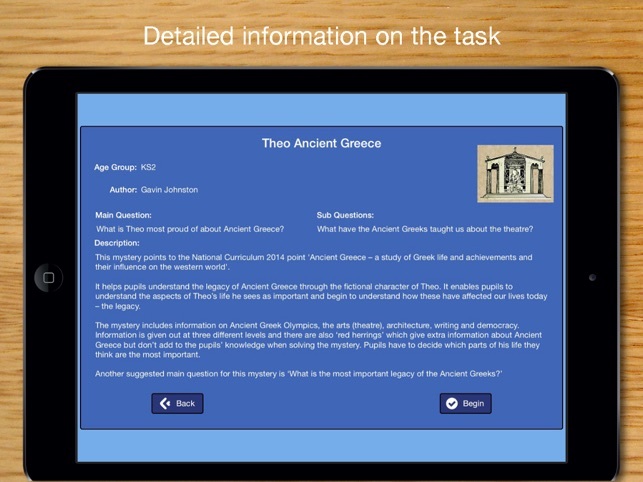 Digital Mysteries: Theo in Ancient Greece is a unique app in allowing pairs to work simultaneously on one iPad on a task mapped to the national History curriculum for England. 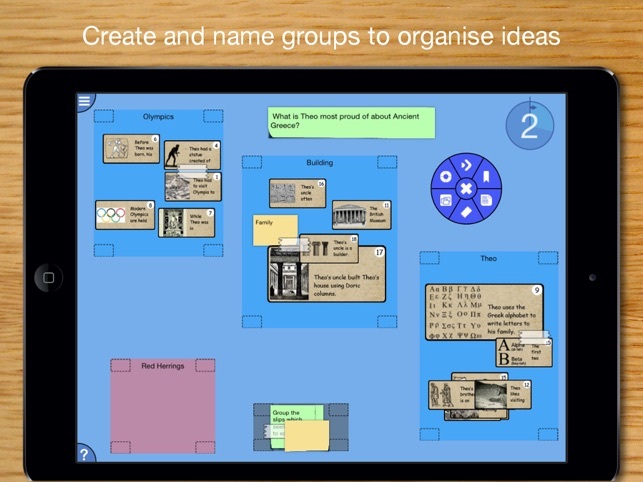 Users are given illustrated slips of information which they read, organise into groups and lay out across the screen. This is all to understand the legacy of Ancient Greece through fictional character Theo, his family, hobbies and interests. Students can generate a PDF report of the session which can be shared or printed, plus they can move to a Reflection Stage. 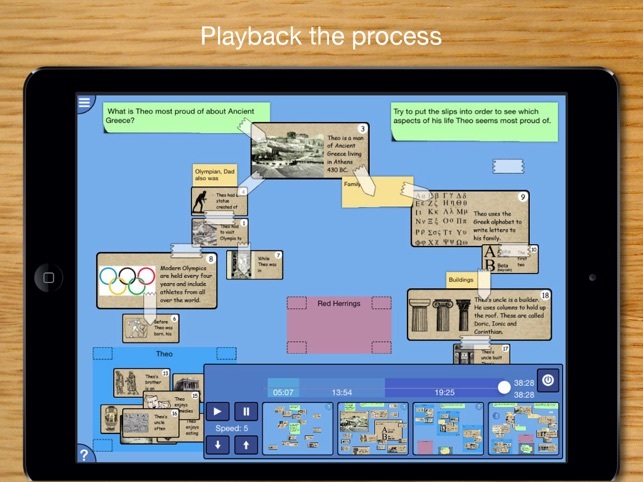 This involves sitting as a group, with their teacher, or as a whole class, and playing back the app session to help them reflect on what they’ve understood, discussed or learned. 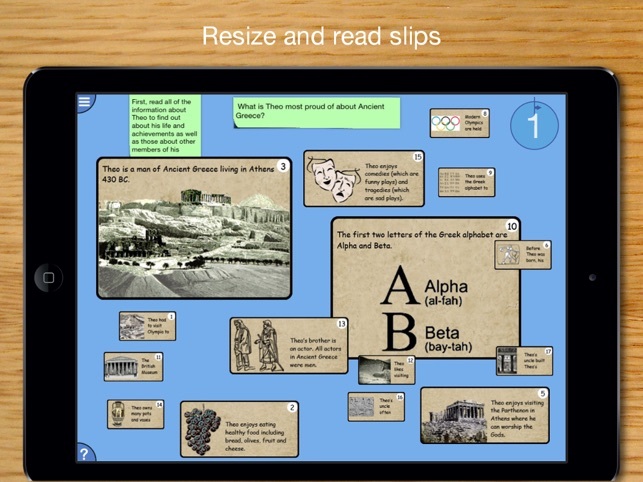 While students learn about the Ancient Greek Olympics, the arts, architecture, writing and democracy, the app will also help develop their problem-solving, communication and collaboration skills. 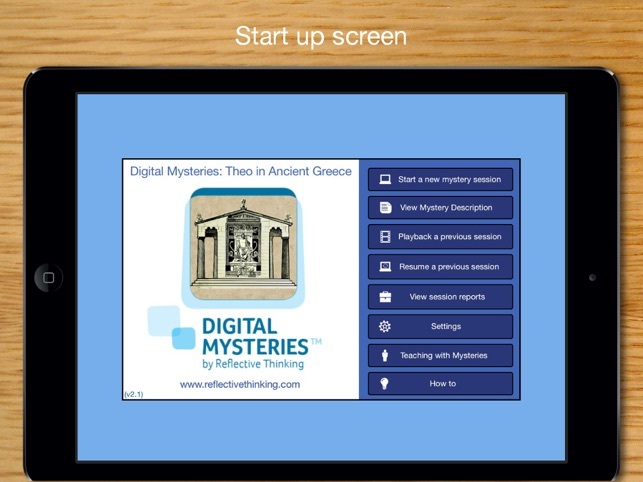 Digital Mysteries: Theo in Ancient Greece works well with those aged 7-11 years old. By having three difficulty levels, it supports differentiation in class and can be suited to varying abilities/levels of knowledge. What’s different about Digital Mysteries? What does a mystery consist of? How can I try other mysteries? 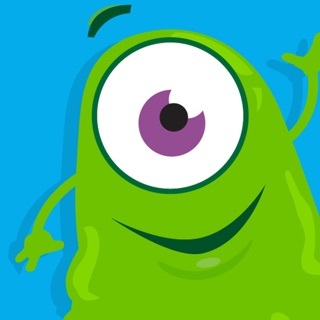 At the bottom of the app details tab, tap ‘Developer Apps’ to view our current range. Why did Tyke Turner steal?